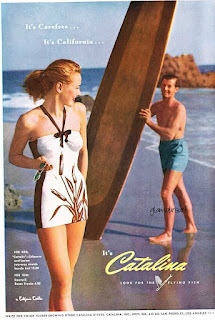 It's 1948 and a wonderful print from Catalina, love styling and cactus tail print, don't you? Catalina did many of these hand prints. 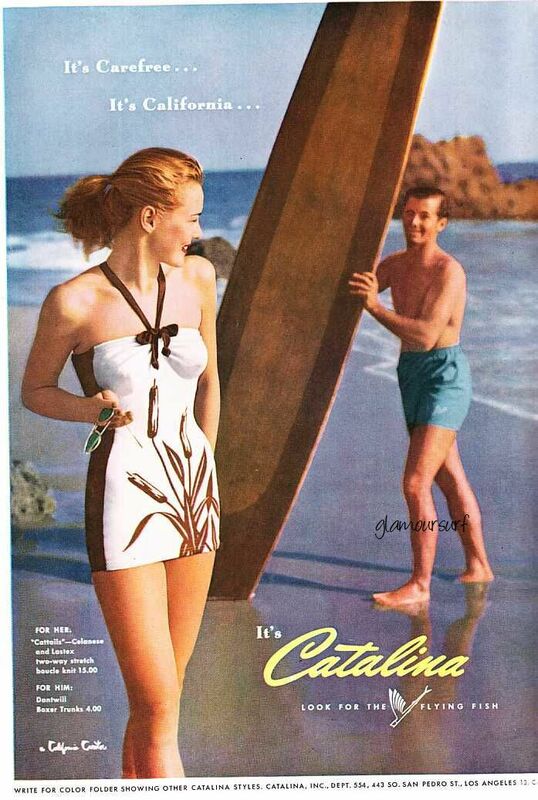 And how about that long board? Wow.